Y ou’re looking for a new home - something with more space and which reflects more of your personality. Do you search the market for something appropriate, or do you build a home to your exact specifications? Is it better to build or buy an existing home? The benefit of a custom build is specificity. Existing homes will typically only meet your expectations in broad strokes. In existing homes, you can determine the number of bedrooms and bathrooms you'll look for, but you can't shape those spaces. The appliances won't usually have every feature desired as well. With having a house built, however, you get exactly what you want (finances permitting), right down to paint color, knob pulls and wood trim. The cost of building a house vs buying can go beyond just finances. Every appliance in a custom build will be chosen by you. Spaces are configured to best benefit your lifestyle and belongings. Moreover, everything is new. When thinking about build vs buy, think about how features such as used appliances are missing the latest and greatest features , and if those appliances are only a few years old, it'll be many years before you have the opportunity to upgrade. A custom build means the opportunity to invest in current technologies. Buying new will also save you repair and replacement costs for many years. There are also aesthetic benefits. Even well-kept homes can look lived-in with matted down carpeting, scuffs along the walls, wear patterns in the tile. And the older a home gets, the more out of style it becomes. A custom build uses brand new elements in the latest styles. A new home will also likely be free of toxins. A very old home might be contaminated with lead paint, but a new home has never seen a lick of the stuff. There has also been no time for mold to build up in a new construction, and lots of modern building techniques minimize the danger of new mold developing. Custom builds are not without their downsides. First off, they're quite expensive. When thinking about the average cost of building a house, an existing home might not have the latest styles, but your dollar will go much further. That is the point of buying something used, after all. How much does it cost to have a house built? Well, the costs of a custom build are not necessarily predictable. Some contracts require you to pick up any cost over-runs. Many custom build buyers opt to get a lump sum contract which sets down exactly how much they owe and put the responsibility of over-runs on the builder. Custom build jobs also tend to take over the owner’s life for a period of time. There are a lot of choices to be made. And even when you think you've hammered everything out, there's always surprises. What do you do when a supplier discontinues that granite counter-top you adored, especially when the floor tile and the paint job were designed to match it? A custom build also takes time. It will be several months before you can move into your new home, and your exact move-in date can't always be predicted. Buyers sometimes sell their old home only to discover their new home won’t be ready as planned. The custom build is a process, and one which requires significant patience. 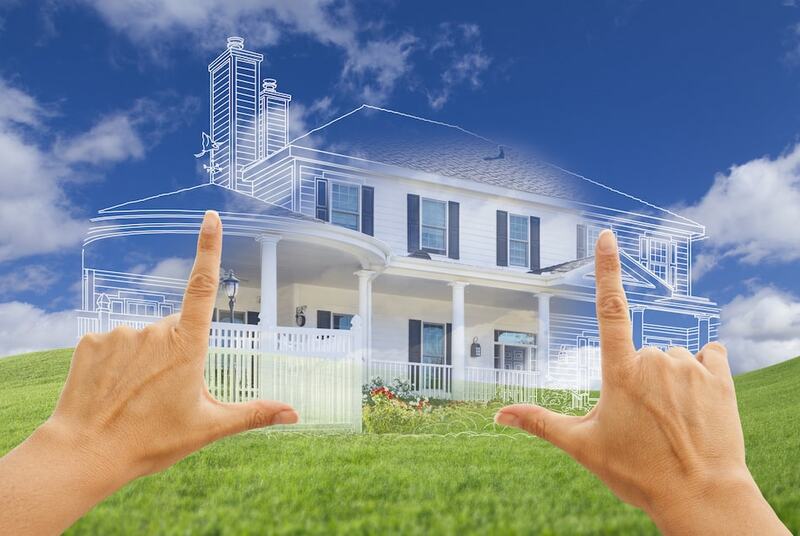 Custom builds are great for people who have very exact expectations for their new home. Also, a home full of new things alleviates the frustration of thing breaking down soon after purchase. But custom builds also require both time and money. How much does it cost to build vs buy? Weighing your desires against resources is the most fundamental part of determining whether you should invest in a custom build or an existing home. Consult with a knowledgable real estate agent to see what works best for your situation.